Smart media devices such as: smartphones and tablets are getting more powerful, smarter, cheaper and hence more popular. Recommendation systems become very common in e-business and e-Commerce, for example: Amazon, Google, eBay, Facebook, etc. all are using recommendation systems to promote their business. Recommendation systems are rarely used in learning; however it can be very useful. · Send a learning query to sites, sources and repositories across the Web and gather relevant information through the use of recommendation system that filter all the useless or irrelevant materials off the main list of recommended items. · Filter result from other user’s preference using collaborative-filtering, having the current query in mind. · Use TFIDF for content-based filtering and ranking of the shortlisted pages or articles. · Present the shortlist based on their rank to the user of the system. With the growth of the web, there is an explosion in the size of content available to various users around the world. The materials available are a mixture of useful and useless documents to the interest of the user. This show gives the need for a better way of getting useful document from the web and mostly through the taste of the user of the web. This project aims at using the taste and the behavior of a user to get documents that are relevant to what the user needs. Depending on the choices of the user, they may have people with the same taste as them, and the system is to harness this opportunity and recommend materials, based on interaction of the neighbor of the users with other interesting materials. Using a collaborative filtering approach, the system can find the items (document) that other users with similar interest with the current user have read and rated to a good degree. In the early stages of the system’s life, the system can’t depend on the Collaborative approach alone, or else the system’s recommendation will be inadequate, thus prompting the need for another filtering approach to support the weaknesses of the collaborative approach. The most use filtering approach that has been used with the collaborative filtering approach is the “Content-based filtering” approach. Adding a content-based filter to the result of the collaborative will yield a more concrete recommendation that will be close to what the user requires. Recently Recommendation Systems are becoming common and important in e-technologies such as e-business and e-learning. Many major companies such as Amazon, Google, etc. have its own recommendation system. Recommendation systems can help customers to pick up the most relevant products that fit with their needs. In the area of e-learning and learning in general, there is no much research have been done to design and build a reliable recommendation system that can help learners to pick up the most relevant materials that can speed up and enhance their learning process. In this project we plan to design and implement a learning recommendation system, which supports smart media such as smartphone and tablets, as its clients. To achieve this, the system needs to be hosted probably on a remote server with the capability to run codes efficiently, and optimally. A server side will be written in Java Servlets in order to be able to use various libraries available. All communication will be across a network and the source data will be from the internet. In the digital world today, the amount of content finding their way to the internet, has become alarming in the rate of increase, and this has led to an increase in the scrutiny of this content by search engines and other pointer-sites. It is now glaring that there is a need to provide a personal touch to the recommendation of materials to users. If a form of recommendation can be added to the search result of user’s, then the probability of them getting more interesting materials will become high. Take for example, a school with lots of materials in their repository, which offers the students or the public access to their wealth of content, but the only provide a generic search. 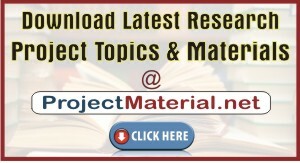 If there is a way of finding the articles or papers of interest, and at the same time finding materials with similar relevant content, based on the content similarities and the people who previously viewed and rated the materials, thus saving the next person the trouble of viewing irrelevant materials. In this research, the aim is to aid common search with the help of filtering techniques, in order to improve the quality of materials recommended to people or users of the system. 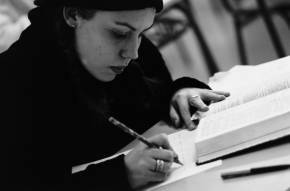 Due to the fact that finding material for research and study may be hard to get on the web, a user might search with a search engine for materials and information, and the user may or may not get the result he/she seek from the first search engine, and he/she may try the second, third, fourth etc. this process of searching numerous places for information may be time consuming and tedious. Then a system that searches more than one place will surely be better.